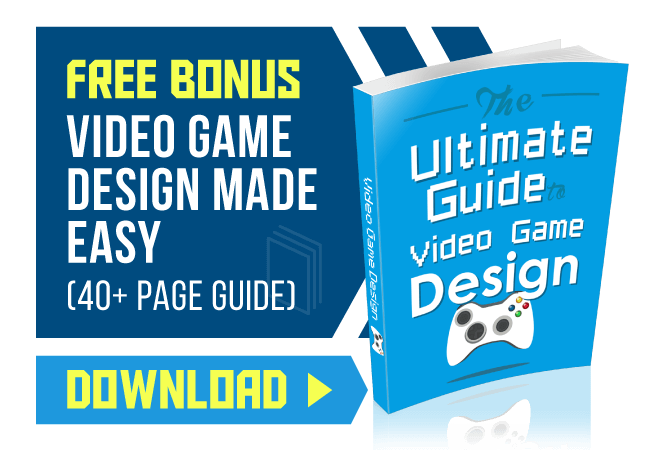 As the video game industry continues to grow, so does the field of aspiring game designers. While there is no way to count them all, we’re confident that, right now, thousands of aspiring designers across the world are brainstorming ideas, refining existing mechanics, and creating the our favorite new characters. What we can say with certainty is that almost every game designer has been inspired by at least one game designer before him or her. We’ve put together a list of video game designers we feel have been both inspiring and successful. These designers are responsible for some of the most influential titles in gaming history and to this day still use their talent and passion to create new memorable experiences. Between releasing the first feature Metal Gear Solid installment in seven years and problems with his long-time company, few designers have been drawing as much attention lately as Kojima. 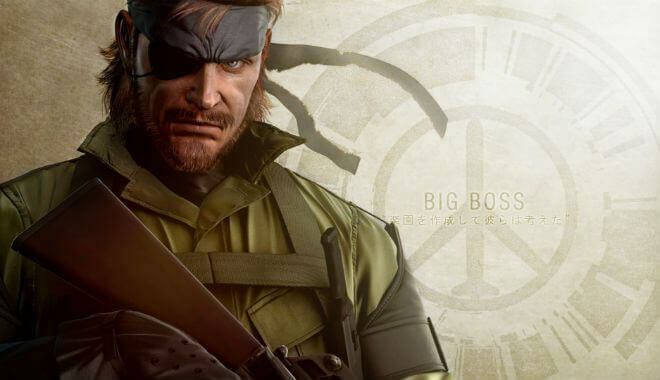 The Japanese developer has been part of the industry for more than 2 decades, getting his start with Konami in 1968 while working on the very first Metal Gear. What’s interesting, however, is that games were just a hobby for Kojima, whose real interest was in film and its ability to tell complex yet fascinating stories. Kojima’s love for storytelling paid off with Metal Gear Solid, a game considered to be one of the best ever designed. The PlayStation title was only the start of a long line of acclaimed games, which has culminated to this year’s anticipated release: Metal Gear Solid V: The Phantom Pain. Even though his latest project is set to be a strong contender for 2015 Game of the Year, Kojima’s future in the industry is for the first time unknown. 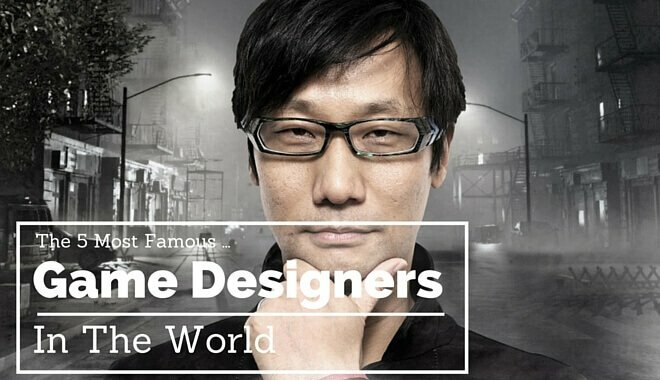 With Konami focusing more on mobile and pretty much abandoning console gaming, it will be interesting to see where one of the most famous video game designers ends up. This list wouldn’t be complete without the man considered to be the founding father of American computer games. Sid Meier has been in the game creation business for nearly 30 years, and in that time he has developed some of the best and most successful computer games of all time. It all started back in 1982 after he and Bill Stealey formed MicroProse to develop several well-received titles, including Sid Meier’s Pirates!, Civilization, Colonization, and Railroad Tycoon. Eventually he formed a new company called Firaxis Games that also produced hit and hit for many years. From Civilization III and Alpha Centauri to Civilization IV and Civilization: Beyond Earth, Meier has proven his ability to grow alongside the fast-paced gaming industry and create games that people want to play. Sid Meier is now the Director of Creative Development at Firaxis where he continues doing his part to develop great titles, including the upcoming and highly anticipated XCOM 2. Also a Lifetime Achievement Award winner, there’s no doubt that Sid Meier has helped shape the computer game industry like no other. Instead of being an electrical engineer like he had planned, this man instead went on to help create some of the most groundbreaking role-playing games of our time, including the renowned Final Fantasy series. Alongside Masafumi Miyamoto, Sakaguchi started Square in the 1980s after doing what many successful people do: drop out of college. After struggling to land a hit, Sakaguchi decided to toss all their remaining cash on a game that would be their last. This game was Final Fantasy, perhaps one of the most significant RPG games of the time. The name “Final Fantasy” went on to become synonymous with Role-Playing Game as each title proved to be bigger and better than the last. Few games could compare to the success of Final Fantasy during the 90s, with Final Fantasy VII still regarded as the best games ever made. Sakaguchi also had part in other amazing titles such as Chrono Trigger, Parasite Eve, and Xenogears. In 2004 Sakaguchi left Square Enix to form Mistwalker, which provided Xbox 360 gamers with great RPG titles like Blue Dragon and Lost Odyssey. One of their more recent games was The Last Story, which was so well-received in Japan that Westerners led a movement to convince Nintendo to localize the game. As the co-founder and current managing director of Valve Corporation, Gabe Newell has ofr the years become a household name among both PC and console gamers alike. Before getting involved in game development, Newell actually worked for Microsoft Corporation after dropping out of a little private university known as Harvard. He became a “Microsoft Millionaire” after working with Microsoft for thirteen years but left his excellent job to make games. Mike Harrington, who also left his Microsoft job, joined Newell to start Valve. Their risky endeavor paid of as Valve went on to release a constant string of highly-acclaimed titles, including Half-Life and Half-Life 2. 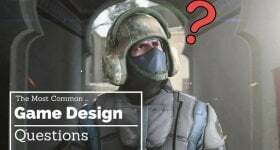 Newell’s company is also famous for cultivating one of the most flourishing modding communities, which has led to the creation of great titles like Portal, Counter-Strike, Day of Defeat, Left 4 Dead, and more. Newell’s impact on the industry continues to this day with Steam, the most popular computer game distribution platform today. The fact that Half-Life 3 is one of the most demanded games of all time is a testament to his knowledge of blending technology and gameplay to create enchanting games. A man who needs no introduction, Miyamoto is without question the most innovative and influential game designer of all time for providing games that all others try to measure up to. Getting his start with Nintendo, Miyamoto immediately proved his brilliance as a game designer by helping to create games that would end up becoming massive franchises. This includes Mario Bros., The Legend of Zelda, Star Fox, Mario Kart, and F-Zero, to name a few. What set him apart was his ability to deliver fresh, unique ideas across games of varying genres. This continued into the 3D era with Super Mario 64 and The Legend of Zelda: Ocarina of time, two games you’ll often find at the top of any “Best Games Ever” lists. Miyamoto has also always had a strong influence on Nintendo’s hardware, which has led to best-selling devices like the Nintendo Wii and DS. Around 30 years later and Miyamoto continues doing what he loves best: making games. He is currently working on Wii U titles like Star Fox Zero and Pikmin 4 while training the next generation of Nintendo designers. If there is one figure that will be sorely missed when his days of making games are over, it’s Shigeru Miyamoto.